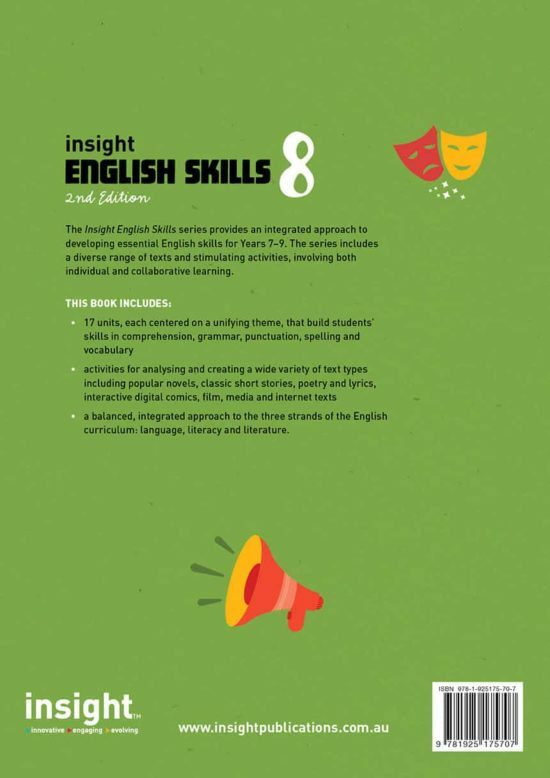 Supporting the Australian Curriculum for English, the Insight English Skills series provides a comprehensive approach to the fundamental skills required for Years 7 to 9 English. 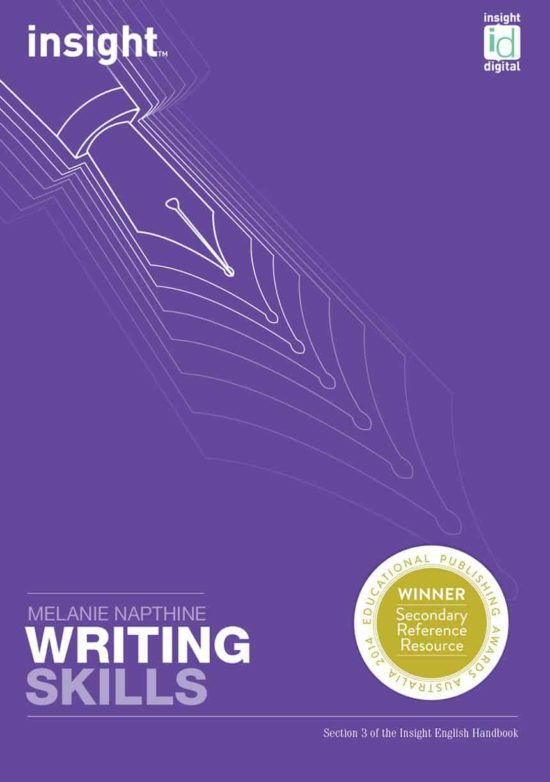 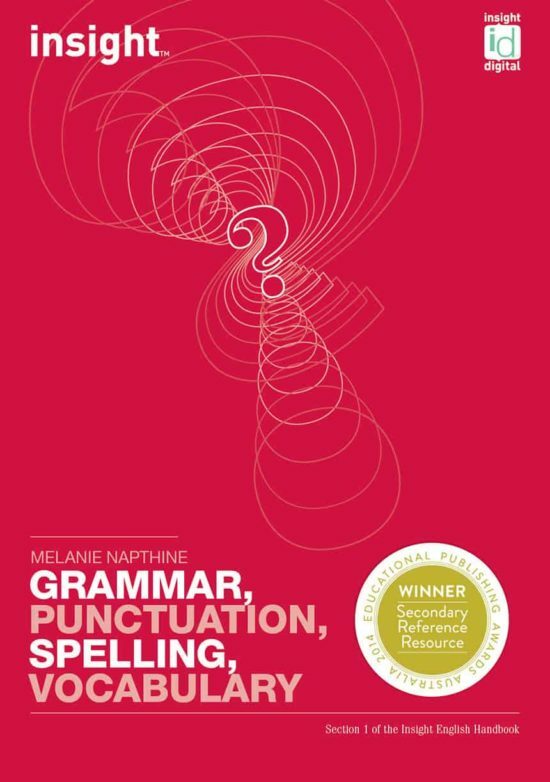 With creative and critical thinking principles embedded in all units, and grammar, punctuation skills, spelling and vocabulary developed contextually throughout each book, the series is designed to encourage the progressive development of students’ skills. 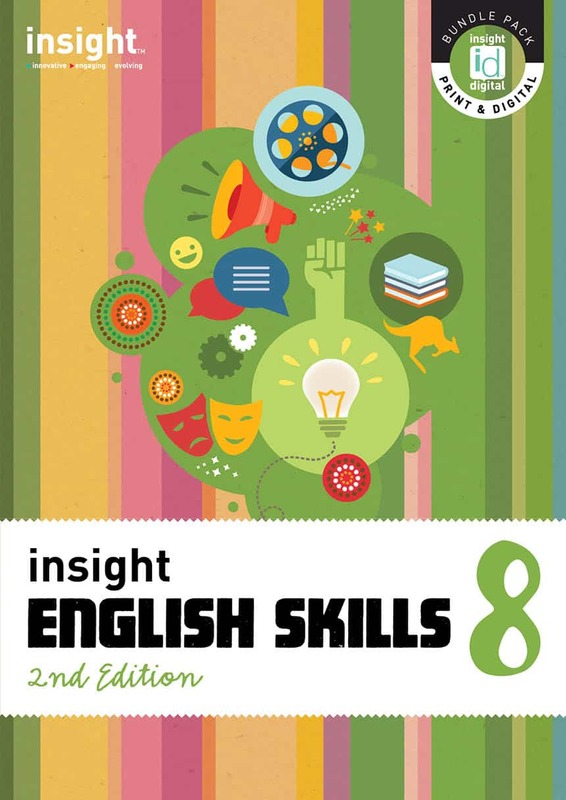 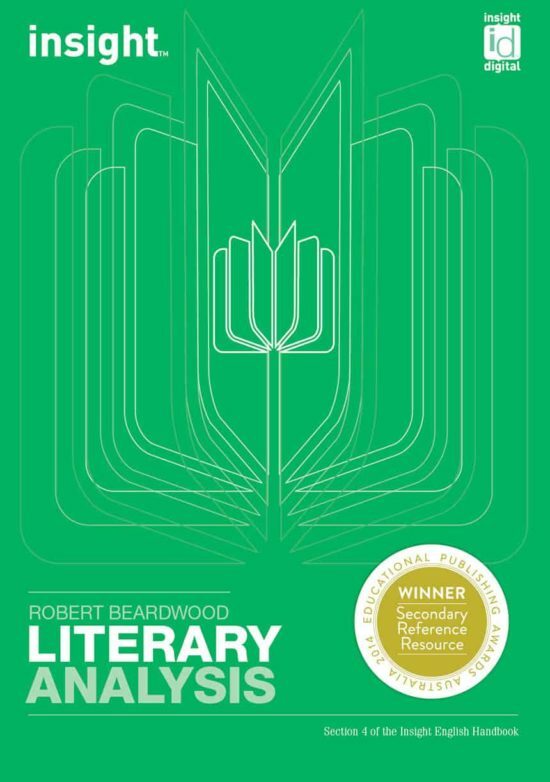 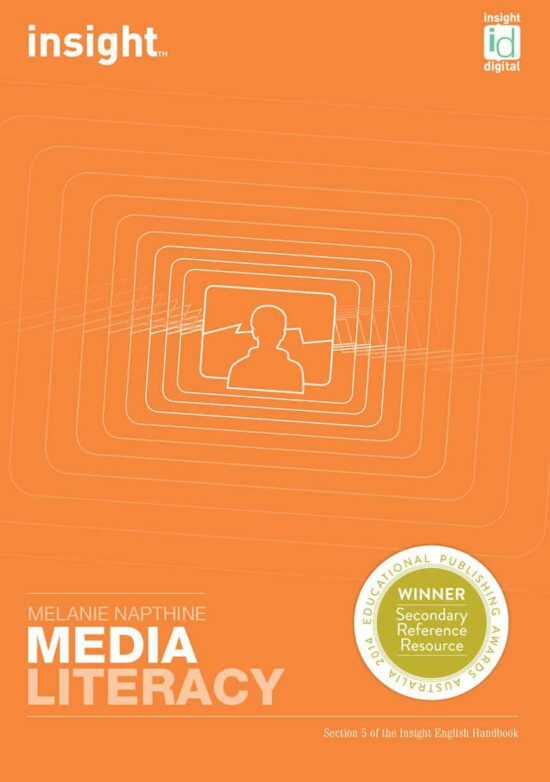 Each book in the series features a vibrant full-colour design to complement dynamic content and engaging text examples. 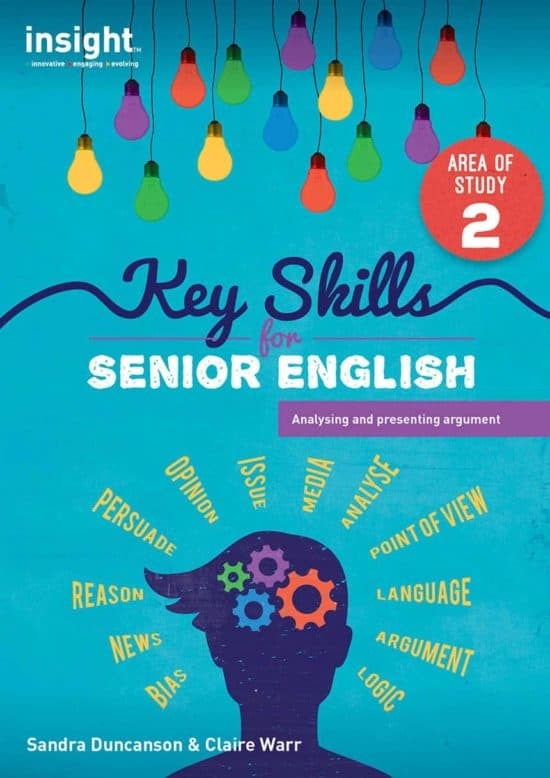 Accessible explanations, questions and activities further reinforce the skills introduced throughout the series.